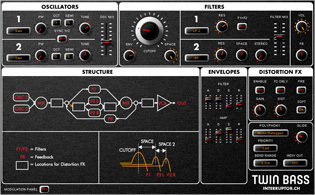 These VST plug-ins run natively on any VST compatible audio application under Windows 32bit. On 64bit systems a bridging software is needed which is already included in many applications. If this is not the case you can acquire a VST bridge separately. Mac users please read this. This is an improved version of the popular "Bionic Delay" which is in use in many studios since over a decade. The new version was developed in a joint effort with Dub producer Russ D (The Disciples) who proposed to include additional features which are helpful for live Dub mixes. Please post your comments and suggestions regarding this device on the dedicated forum page. MIDI learn: Each control can be automated via MIDI controllers. 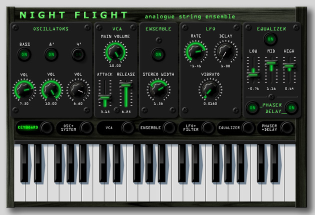 “Night Flight” is a VSTi plug-in emulating the analogue string ensemble keyboards invented in the early seventies. See and hear more on the product page. 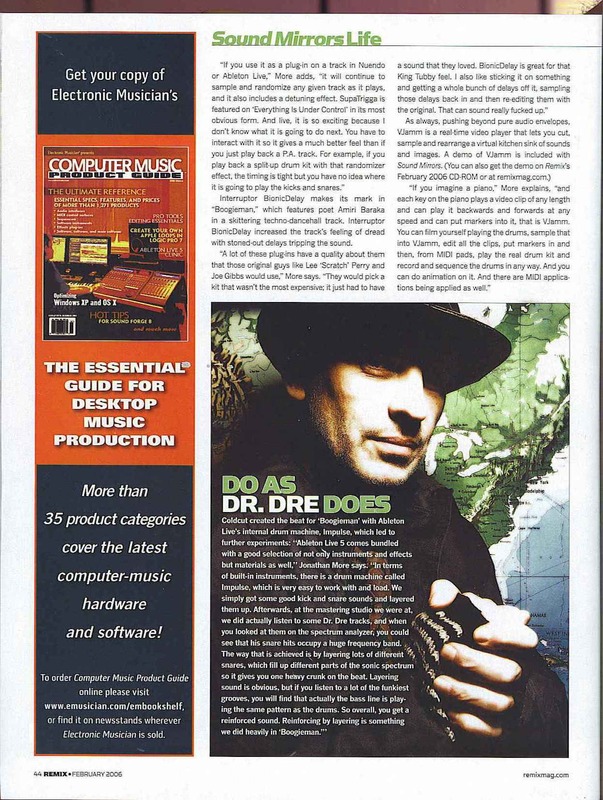 Beat Magazine from Germany gave Twin Bass a 6 out of 6 review plus a "recommendation from the editorial staff". Read the review here. intuitive controls: Non-linearly scaled controls allow to directly set the perceived pitch deviation depth and rate resulting from the playback speed modulation. dual mode: In dual mode the left and the right channel are modulated separately. A built-in test tone generator makes it easy to quickly check a particular setting with different signals or to use the plug-in as a self-contained "noise maker". If a control has no influence on the sound in a certain mode it will disappear from the surface. Also the assignment of midi controllers is documented in the pop-up hints. I built this plug-in for a live performance at the Bazillus Club in Zurich. It features a tap tempo function which makes it easy to create echoes that fit the timing of a live band. latency compensation: you can compensate your soundcard's latency for perfectly timed echoes in live applications. 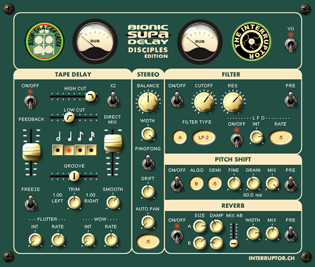 On user request I made the tape delay from the DUB SIREN available as a separate plug-in. highpass and lowpass filter in the feedback path. adjustable simulation of tape hiss (useful for endless delays at high tape saturation levels). all parameters are controllable by midi controllers. the assigned midi cc numbers are written on the front panel beside each pot. This plug-in mimicks the tape delay in Logic Audio. I created it on request from a friend who switched to another sequencer software after Logic's discontinuation on the PC platform. press the "Ping Pong" button to create delays alternating between left and right speaker. Bionic Delay was used by Coldcut on their album "Sound Mirrors"
This plug-in goes further than most (all?) real tape delay machines. It's capable of stereo delays, ping pong delays, multitap delays and complex delay textures.